It’s time to talk about the historical significance of the events that have been unfolding this football week in Argentina with the Libertadores final. Football in Argentina has lived one of its most shameful weeks in history after the embarrassing Copa Libertadores final that didn’t happen last Saturday, this after a horrible violence incident that took place in the Buenos Aires Estadio Monumental. Everybody was expecting to live one of the biggest football events that the world had ever seen, but instead, we got nothing but terrifying images of River Plate ultras attacking the Boca Juniors bus and the players suffering the consequences of rocks or tear gas being thrown at them before the match. 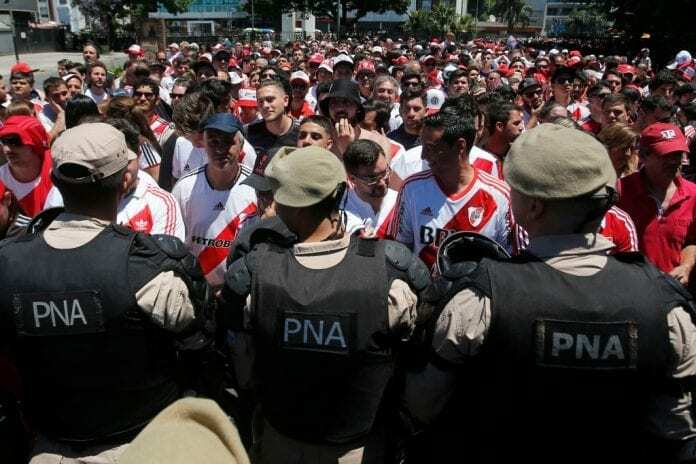 Even since the event was announced as both Argentinean clubs won their respective semifinals, incidents between both fan bases started taking place in Argentina. We can’t forget that we are talking about one of the most heated rivalries in all of sports, in a country that long ago started confusing football passion for vandalism. The reality is that football in Argentina has been rotten for decades now, ever since former AFA president Julio Grondona allowed the ultras fan bases to infiltrate many clubs from the country. We got a new date for the Copa Libertadores Final between River Plate and Boca Juniors. The whole geopolitical situation in Argentina as a country is also one of the biggest reasons for this phenomenon, a Government with Neo-Liberalism ideas that has failed its constituents as it usually does in any other Latin American country in modern times. Ever since he took office as the nation’s president, Mauricio Macri promised to eradicate the violence problem in the country but has failed in every attempt and things have escalated to a point of no return already. Last Saturday’s demonstration was the result of a fight that has been lost for a long time, and the only solution remains in the military from the country. But the Government’s denial of this problem is the main obstacle that stands between the clubs and the people who really love to enjoy football in a healthy manner, this is a hooligan problem that is deeply rooted in Argentine society and it won’t see any real change until the next president takes office. Macri is even pushing for the match to be played at the same stadium despite the obvious red lights we saw last Saturday, he doesn’t seem to care about the evident violence problem there is in the country nor does he care about getting completely rid of the rotten apples. A real leader of that nation needs to have a proper plan to revive football in Argentina, a sport that died last Saturday by the hands of its own people. This situation has reached a boiling point that resembles the same problems that England had back in the ’80s when Prime Minister Margaret Thatcher was in office. Back in the day, there was a very serious violence issue with English hooligans, one that reached its peak in 1988 as she received a detailed memo in which information about 83,000 violent individuals throughout Great Britain was revealed as reported by The Independent. The ‘Iron Lady’ decided to create a war cabinet that could treat the problem since then, she was ruthless in her approach and completely eradicated the hooligan problem. English football was never the same after that, it transformed overnight from a deplorable spectacle to a first-world sports industry that lives on today as one of the most powerful in the world. The leaders from Argentina keep saying that there are very few violent ultras infiltrated in their club, but they have to realize that they have a plague and it needs to be eradicated as England did back in the ’80s. What are the first steps that the Argentine Government has to take in order to eradicate violence in football stadiums? Please share your opinion in the comment section down below.